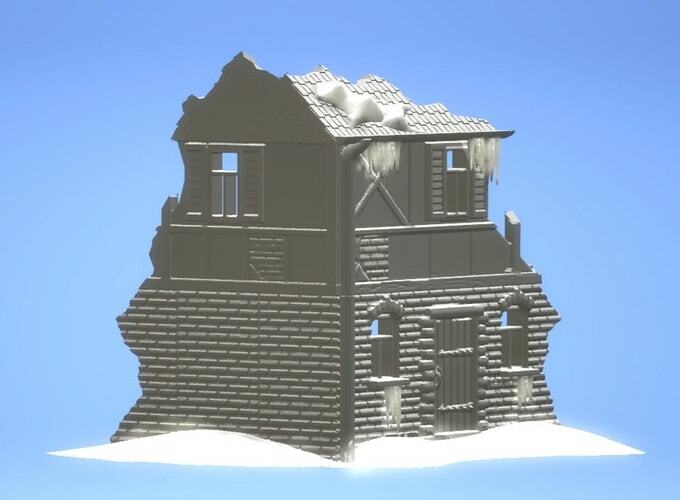 German company Eslo Terrain have recently launched their new Kickstarter campaign for a perfect snow scenery miniature models. These miniatures can be perfectly clubbed with table-top games like Dungeons and Dragons, etc. The miniatures are modelled in 3D CAD software and are 3D printable. They can be easily printed in any regular FDM printer in the most common materials like ABS and PLA. The ability to 3D print these miniatures give the gamers across the world an easy option to quickly and cheaply 3D print the models and use them in their favourite games. The members of Eslo Terrain have a vast experience of nearly 16 years. For all these years they have been experimenting and producing scenery, terrains, and buildings for table-top games and models. They have created more than 700 models. Previously, the production was done with the help of traditional methods of manufacturing like CNC milling machines and laser machines but with the advent of 3D printing, the process has been quite easier. The easy incorporation of 3D printing in their workflow has helped the company create models which can be 3D printed. The new models available for downloading on the Eslo Trrain website & 3D printing are highly detailed and it truly represents the company’s expertise in the field. Additionally, most of the parts can be printed without any sort of support. Eslo Terrain has been using 3D printers for the last one year and now with their consistent effort, they are launching a Kickstarter campaign to support their new product range. The company is offering huge discounts of up to 50% on the models in their Kickstarter campaign. Once the campaign ends the discounts will also end so the model packages will be costlier to download. Eslo Terrain has launched a snowy scenery which is not found so often in such table-top games. It also offers a free ‘Tips and Painting Guide for perfect snow scenery’ PDF file for all backers with the pledge. 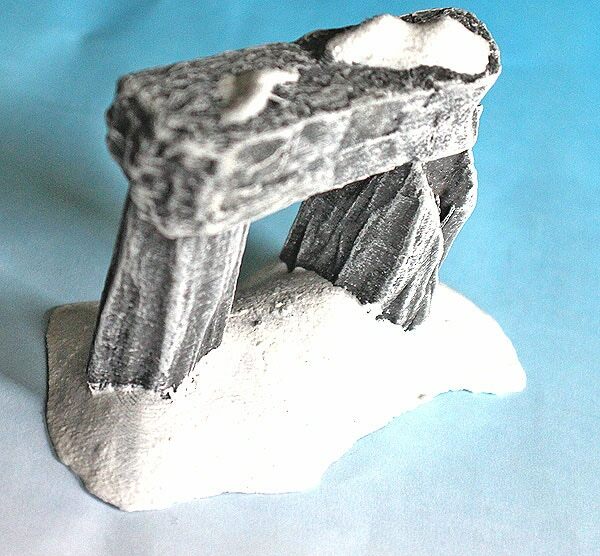 Their products include Stonehenge parts, Craters, Rocks, Wood, Fortification, Hills, Ruins, Elves Ruin and stretch goals include different bases, hedge/stone rows with a fence, different walls with snow with more to be launched soon. 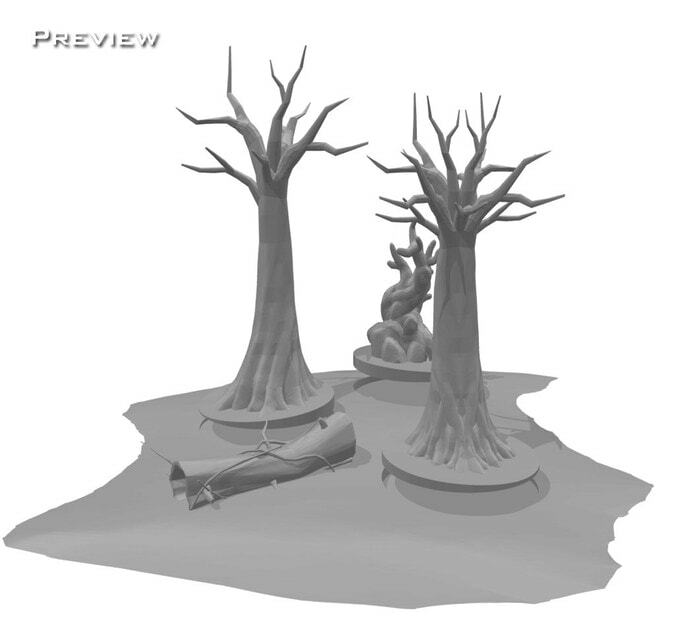 The scenery comes in 28mm scale, but users can rescale it. For a 28mm scale, users are recommended to have a build platform of around 15 cm3. There is more free and exclusive stuff from Eslo Terrain. You can check and support their Kickstarter Campaign by visiting their campaign page.